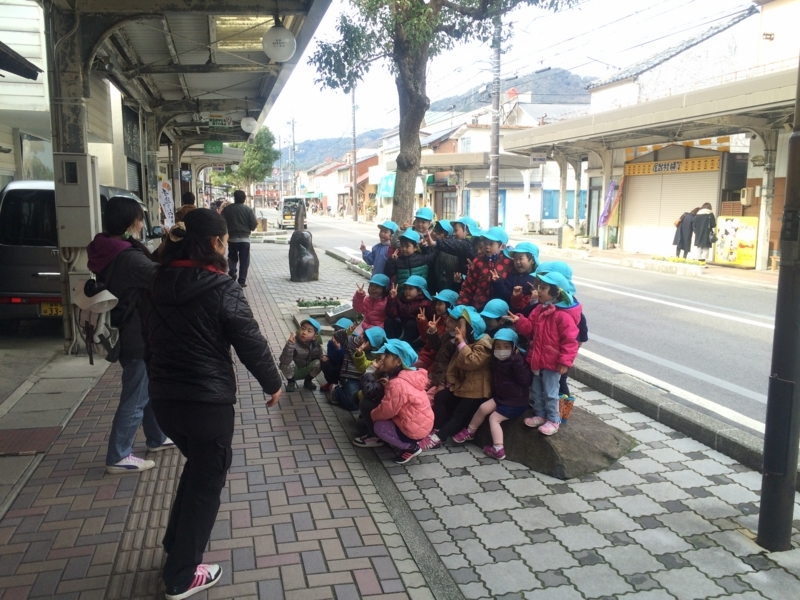 When we heard Tottori prefecture, absolutely everyone come up with Tottori Sakyu. 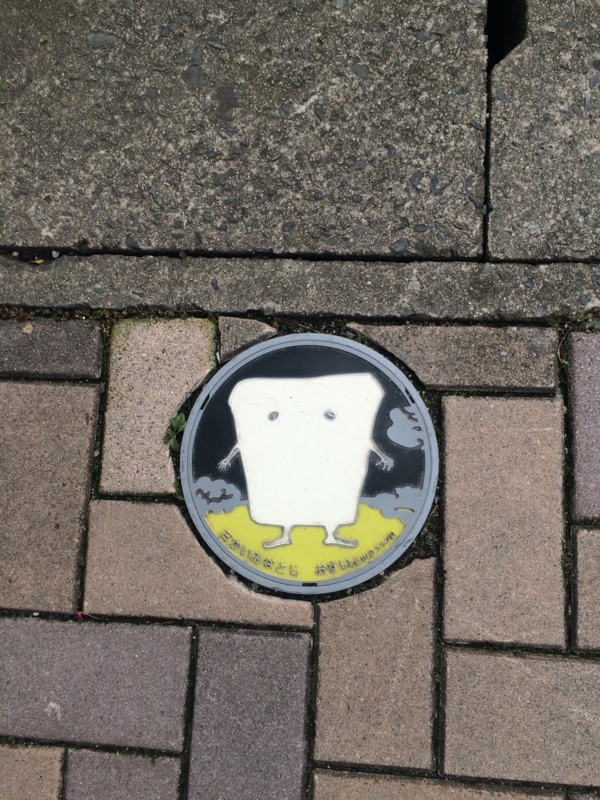 Today I would like to introduce other aspect of Tottori prefecture. 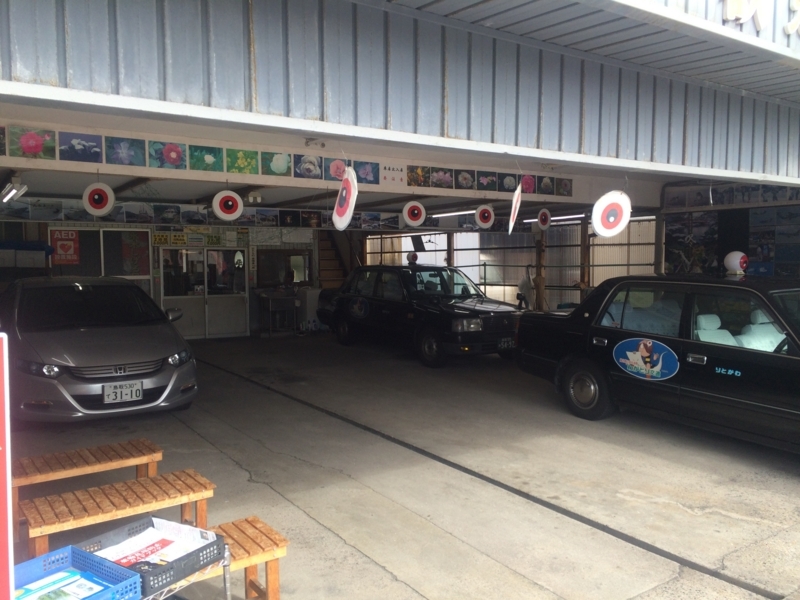 So please refer when you visit Tottori prefecutre. Recently, Japanese manga and animation culture were admitted in the world. Some shopping street is trying to redevelop their economy by these culture. Tottori prefecture is as well. 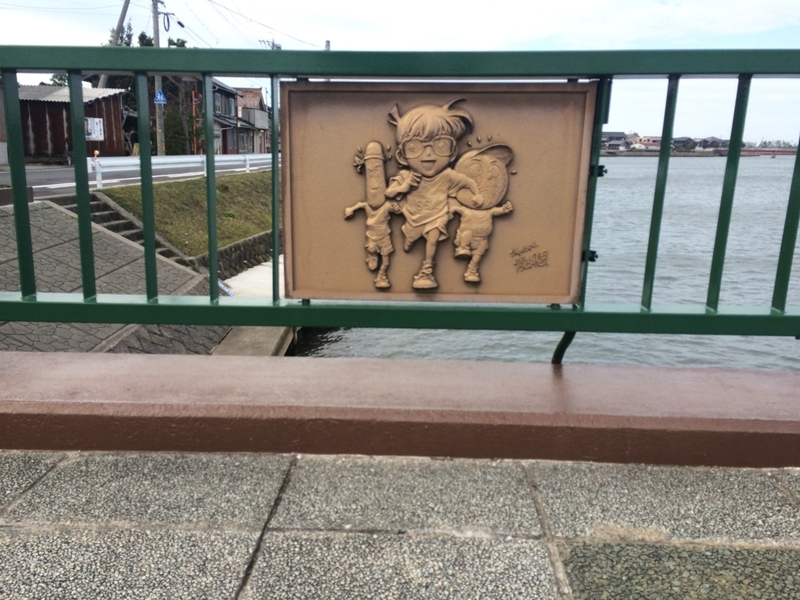 There are 2 famous manga street. 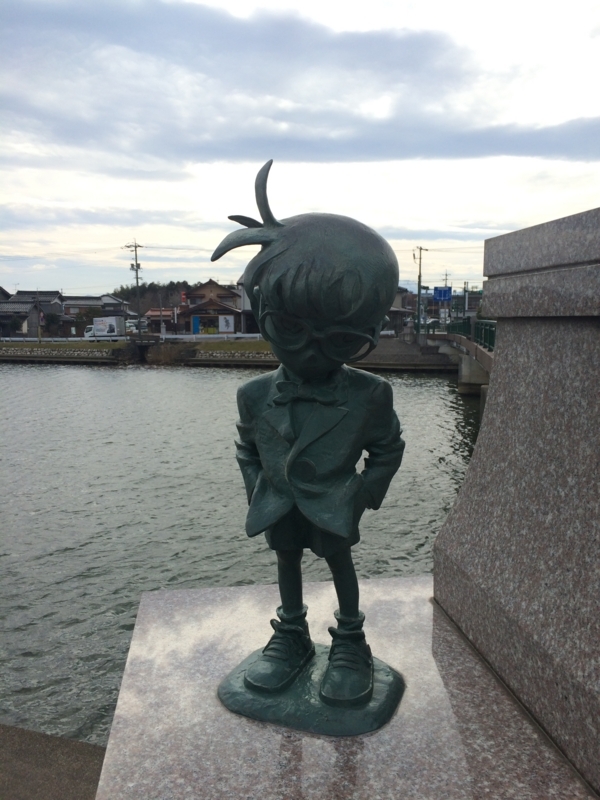 "The best of detective Conan"
Kitaro is main character and he is half yokai. Kitaro battles bad yokai in collaboration with his team. 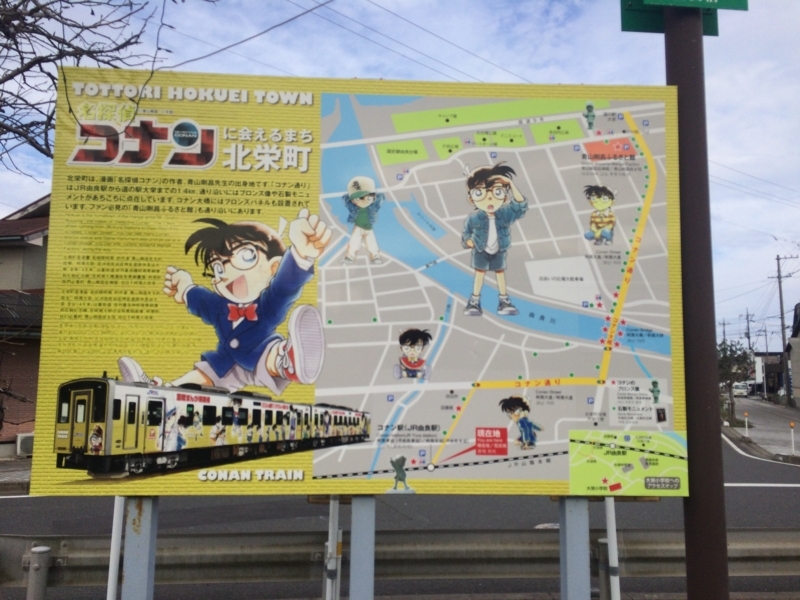 "Eedogawa Conan" who was main character was originally detective as "Kudo Shinichi" who was high school student. But he was arrested bad organization and then he was drunk some medicene. Aa a result he had became child appearance. So now he try to search bad organization. And he collaborate detector "Mo-ri Kogoro" to solve other incident. 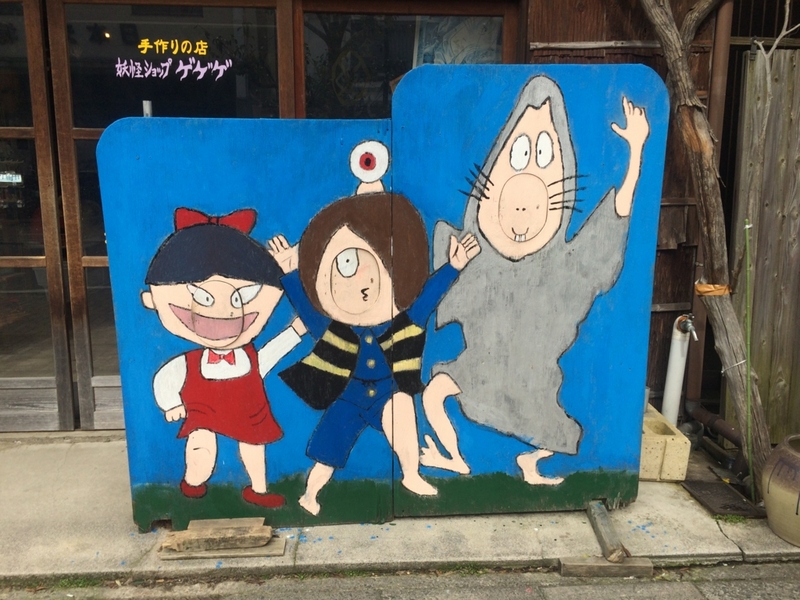 This 2 famous Japanese manga were decorated at Tottori prefecture. 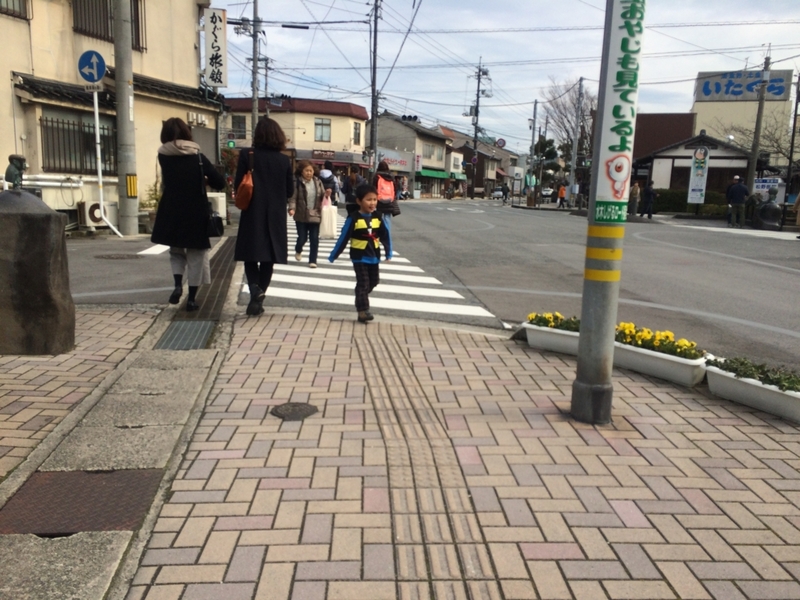 This road is started from “Sakai minima station” which is called “Kitaro station”. 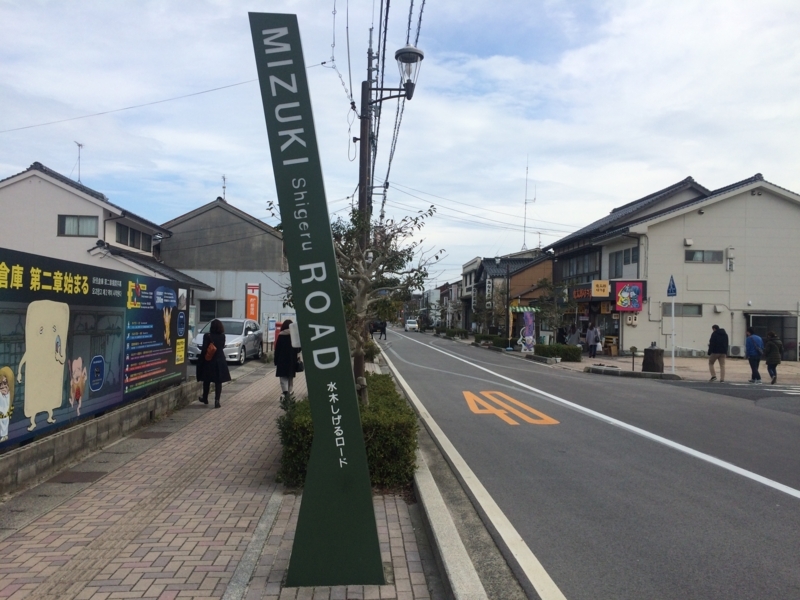 Mizuki shigeru road is almost 800m from “Sakai minima station. And there are almost 150 statues!! 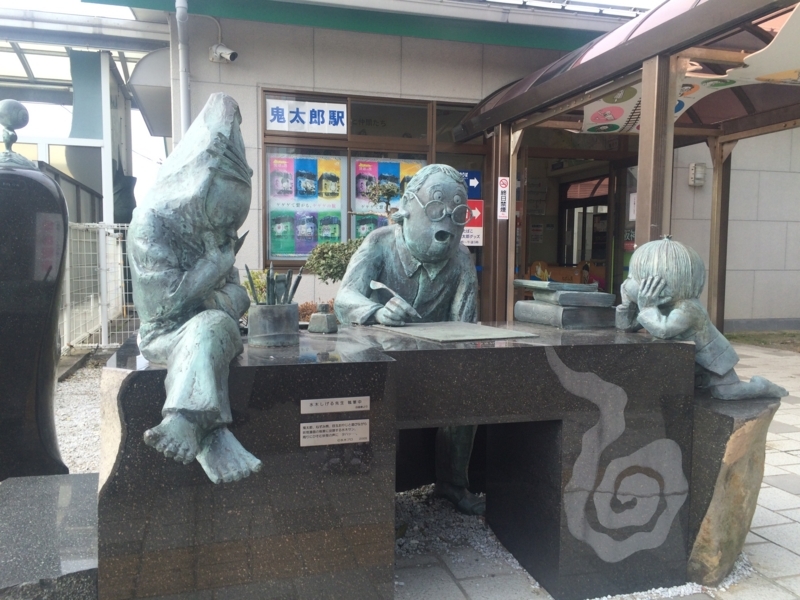 In front of station, there is Mizuki Shigeru(middle) statue. 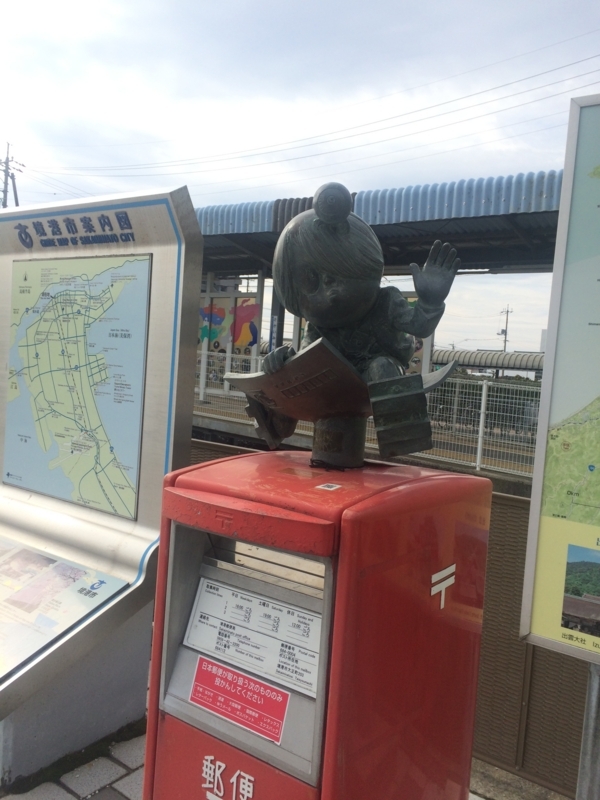 Near station, Kitaro and Medama-oyagi were welcomed. 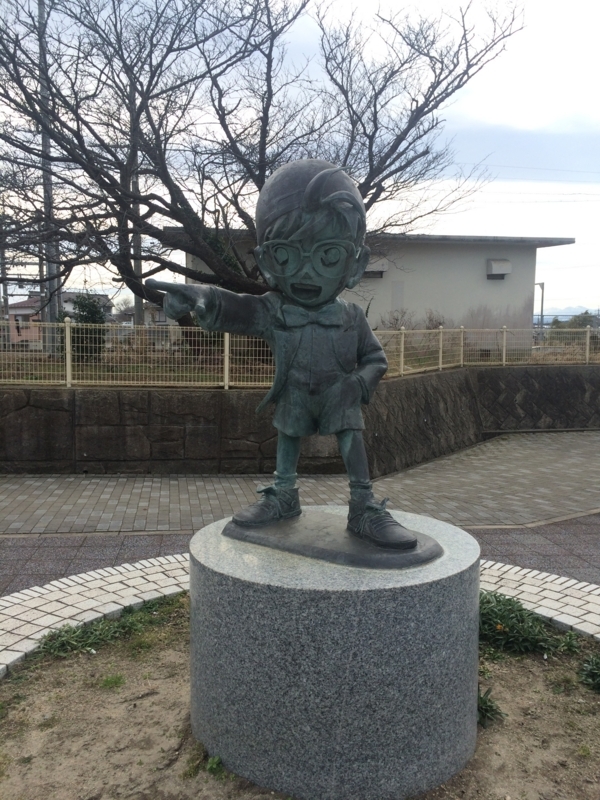 As walking, there were lots of famous charactor statues. 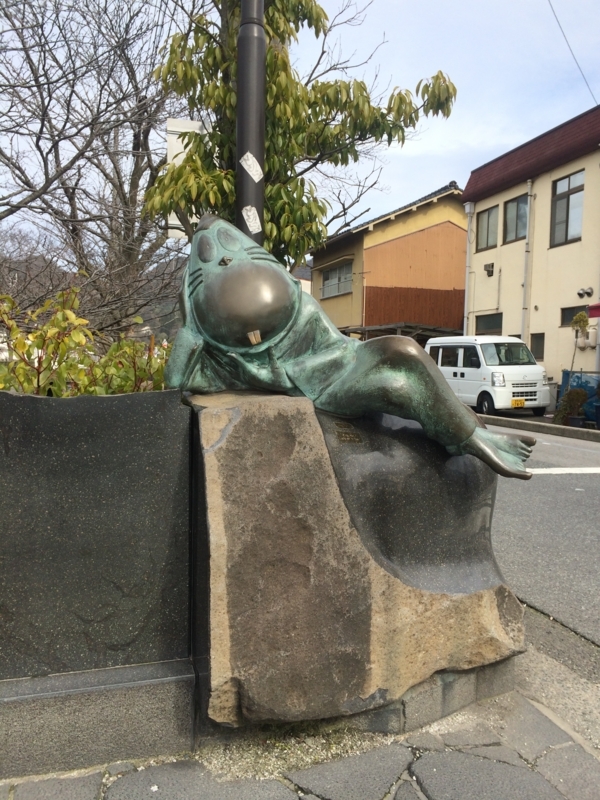 Nezumi Otoko was sleeping near river. 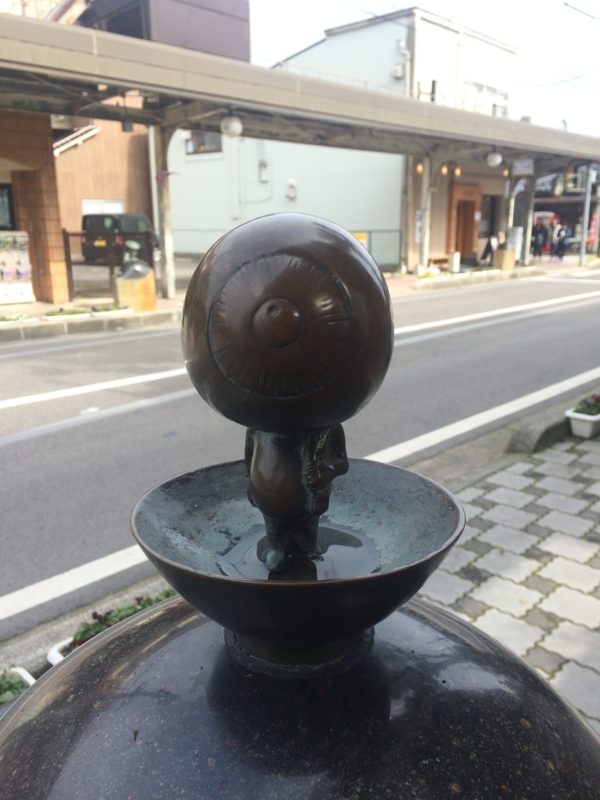 Not only statue but there were various kind of collaboration with Kitaro. So I could enjoy looking for arts. Small lights were drawn several character. 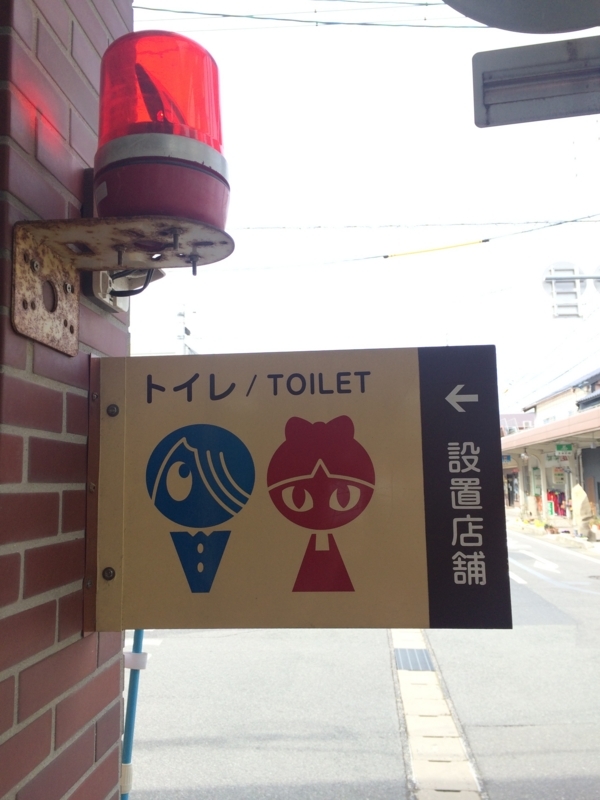 Mark of toilet was cute! On ground there were also arts! 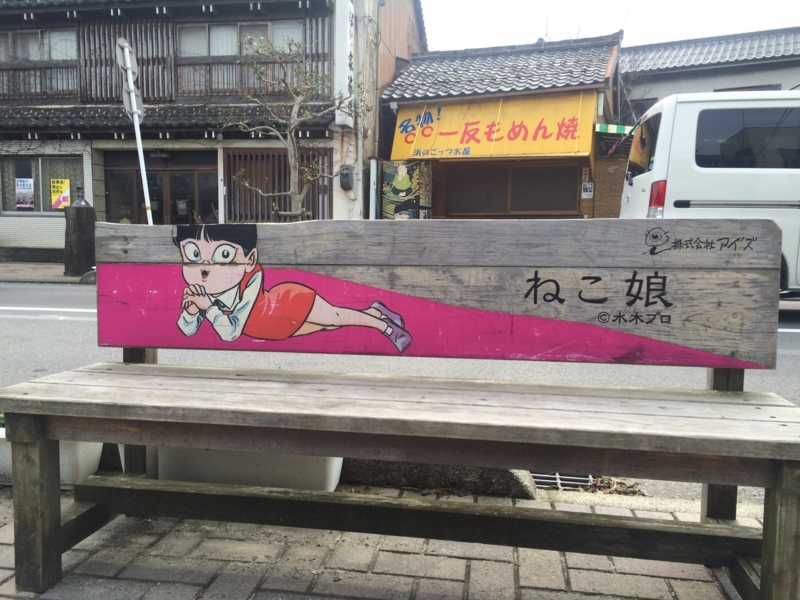 After walking, you should take break at Yokai benches. Of course,I chosen "Neko-musume" one!! 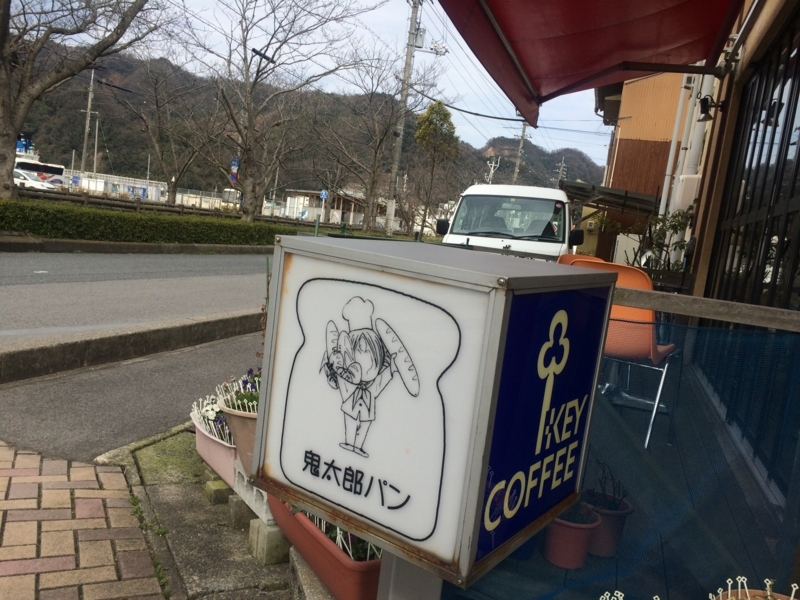 Some local shop and cafe collaborate with "Gegege no Kitarro". So you can take break at these cafe and find good souvenir. 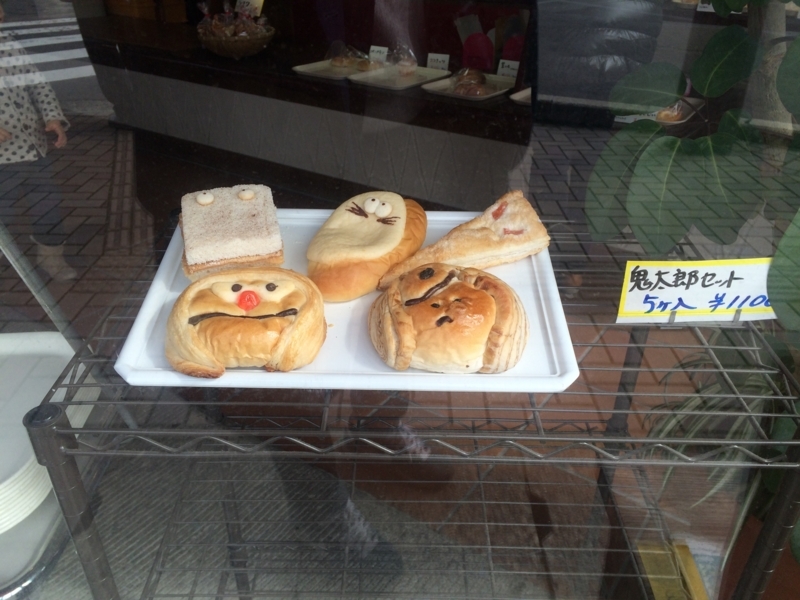 This bakery provided these breads which is in shape of Kitaro and friend face!! 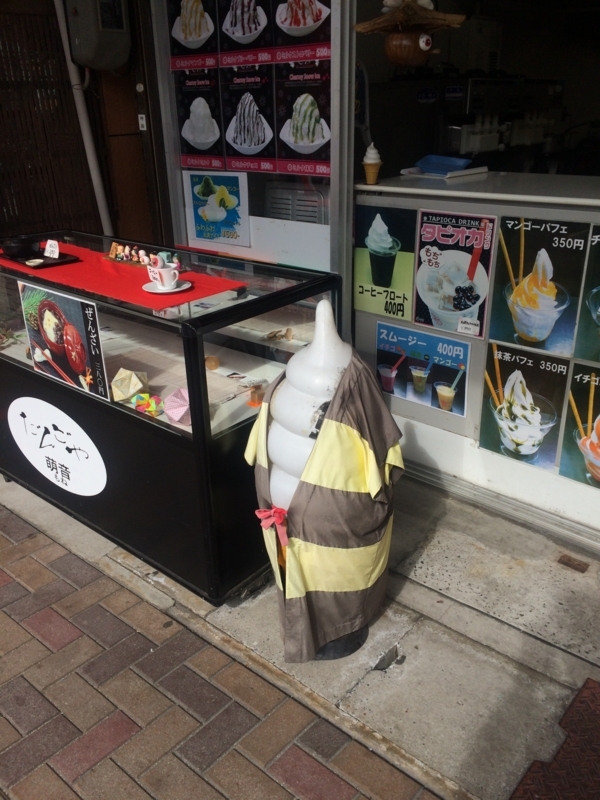 This ice statue wore "Kitaro vest"! Japanese old vest is called "Cyan-Cyan-co". 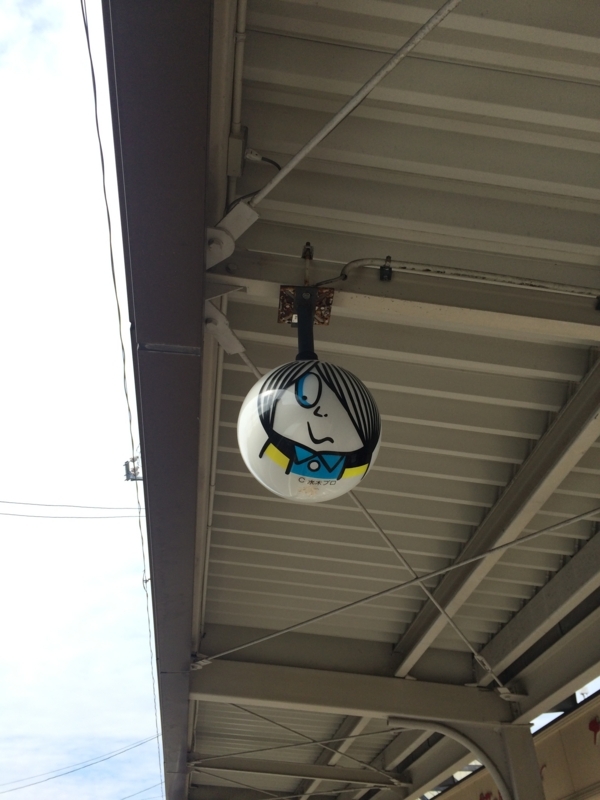 This yellow and black "Cyan-cyan-co(vest)" is one of the symbol of "Kitaro". Of course, we can buy it at this street. If you want to buy any souvenir, I recommend choosing this "Manju". Manju is Japanese traditional sweets. 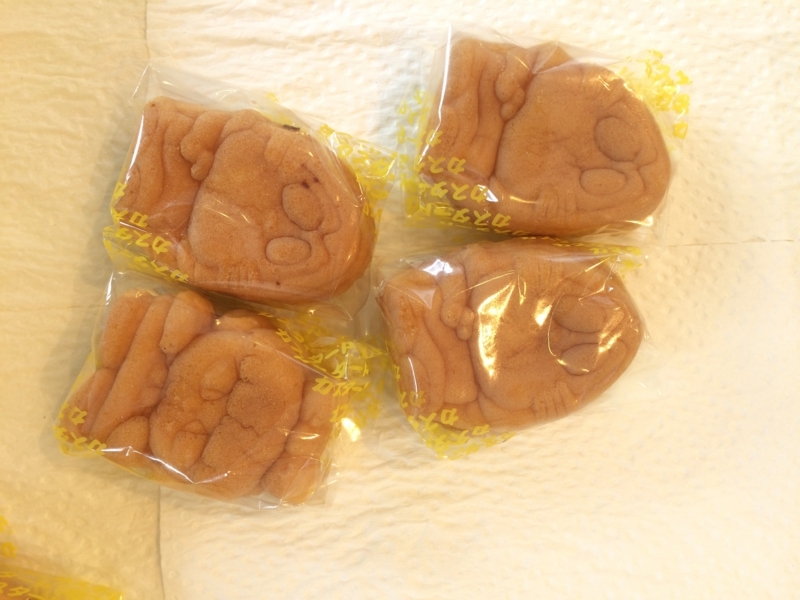 In addition to it, these “Manju” are in the shape of various character face. Couple of "Manju" could be tried for free as sample! So at first you should try it!! 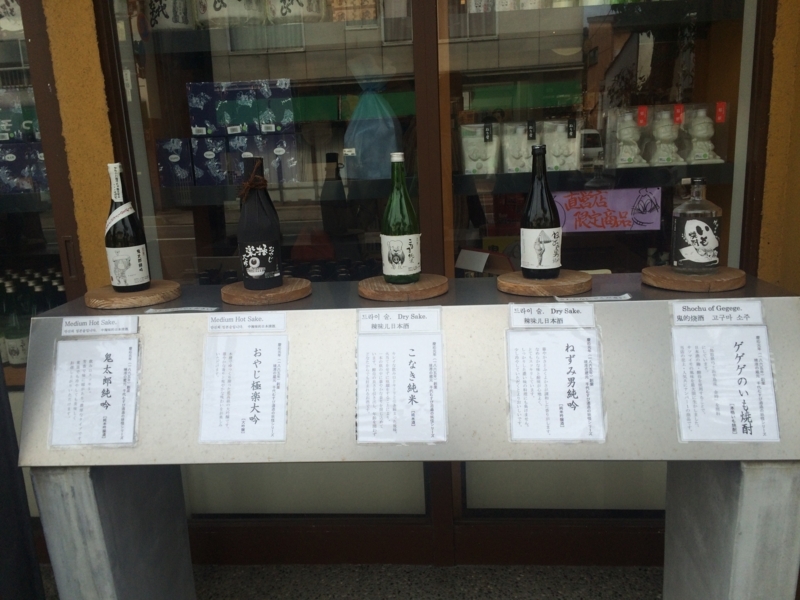 Sake is also famous as Japanese souvenir. 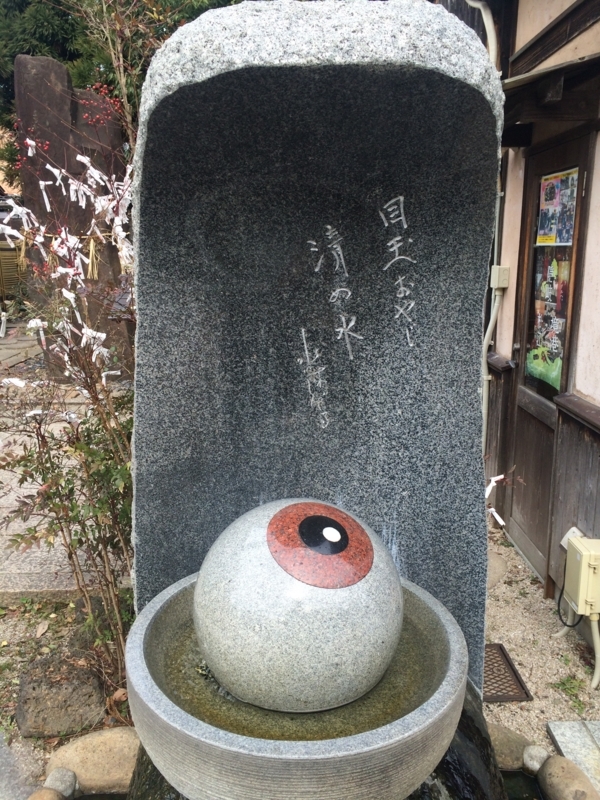 Some Sake is named after "Gegege no Kitaro". Local people also like this road!! 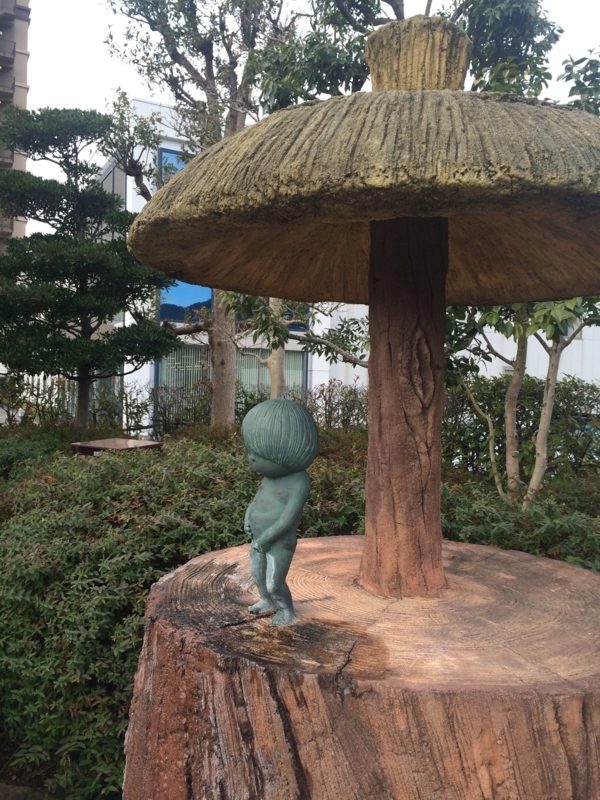 Kitaro statue was varied by crowds of children!! 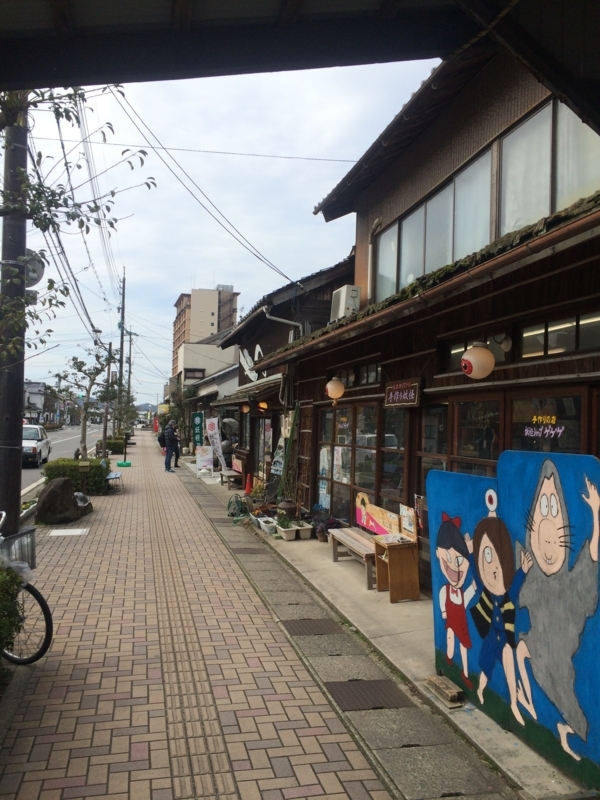 This Conan street is started from station as well as kitaro st. 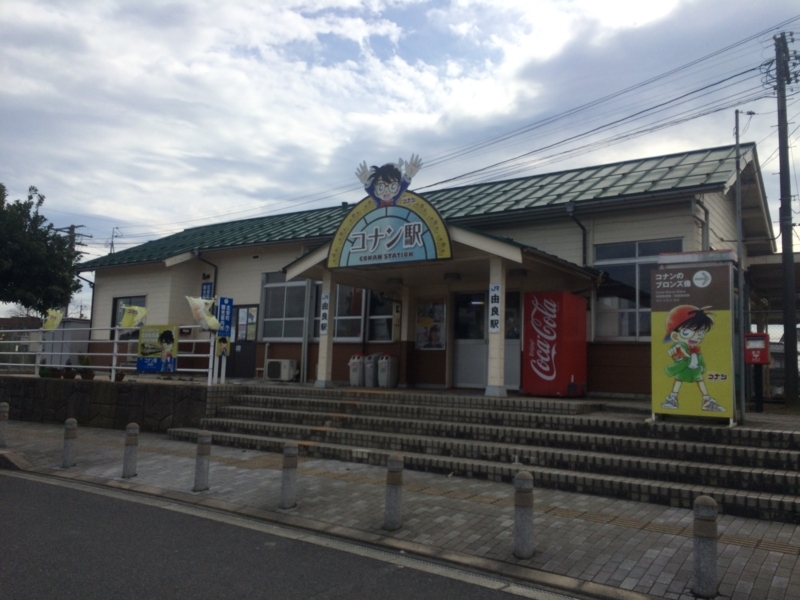 This “Yura station” is called "Conan station". 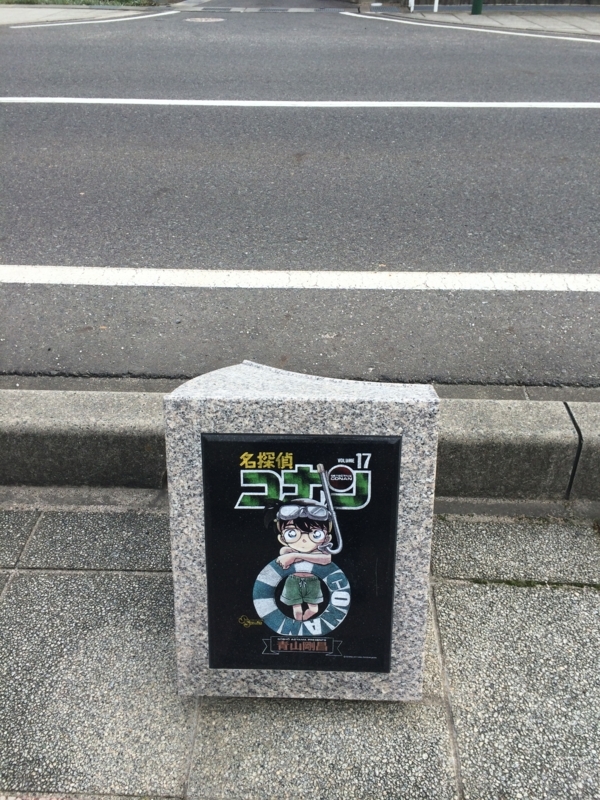 There was big signature of this street. This street is about 1.5km. Conan statue was near the station, he told me Conan street was here. 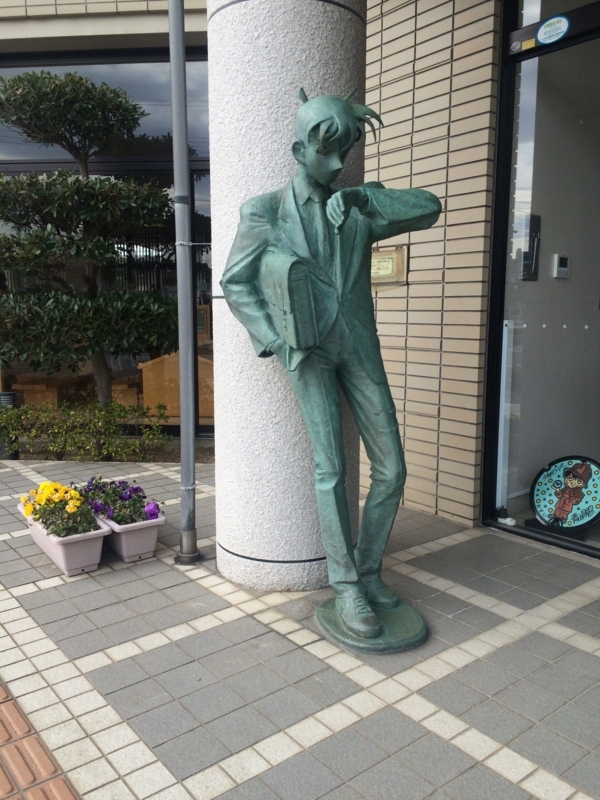 Next statue is "Kudo Shinichi". He is waiting for our arrival. So we should hurry up! 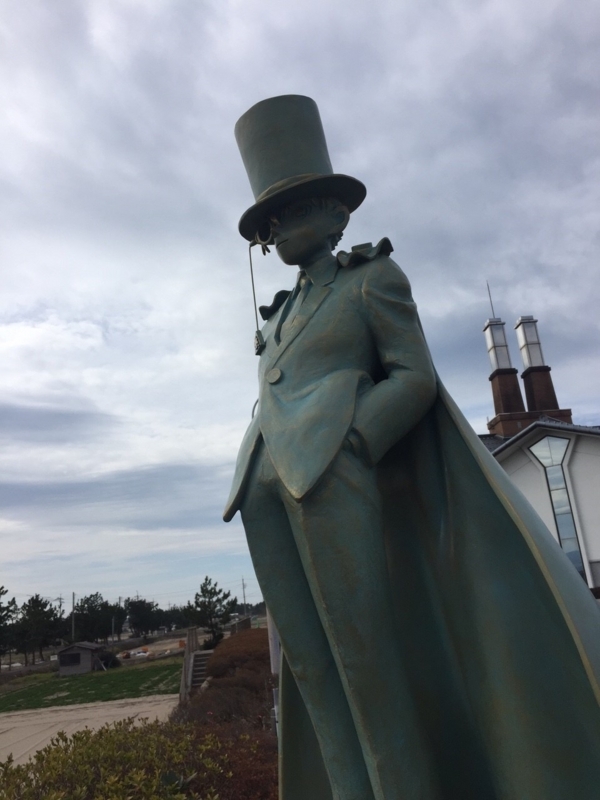 But actually, from first statue to here,it was long distance…. 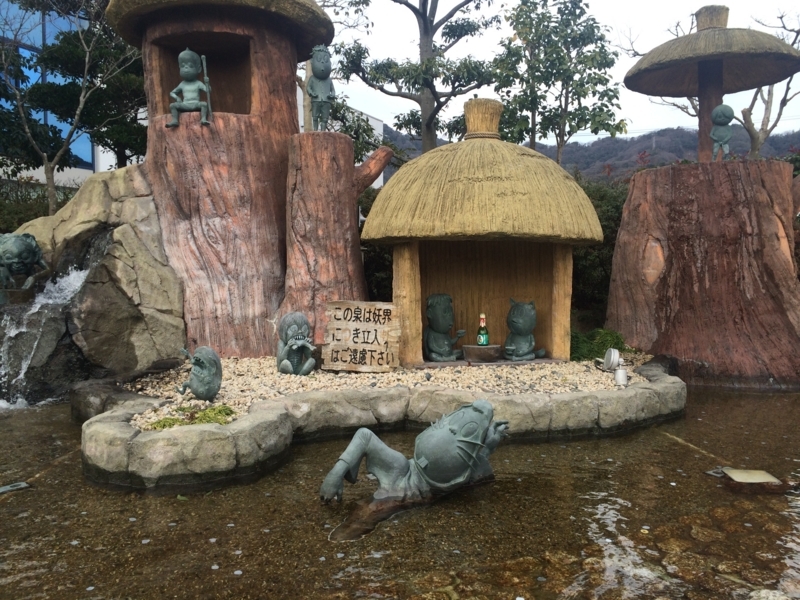 Near river, there were lots of "Conan statue". Beside of river there was parking and TOILET. 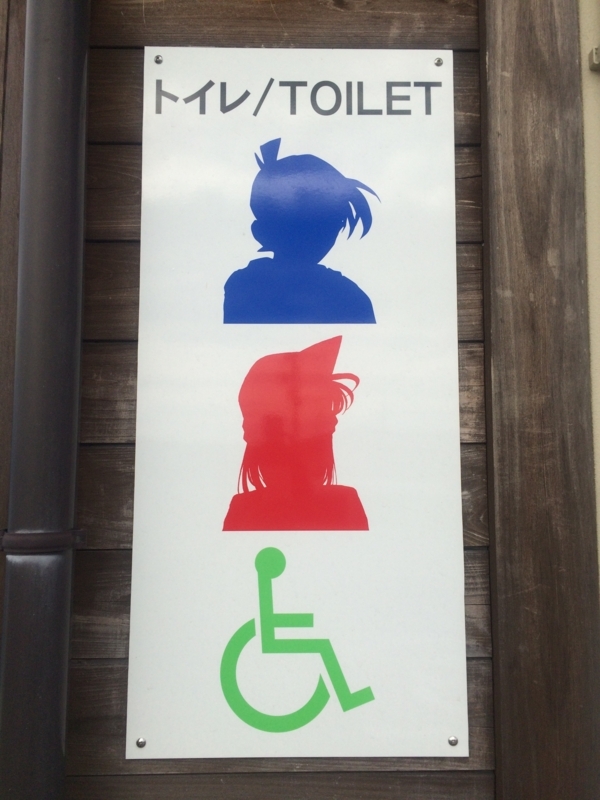 TOILET mark was "Kudo Shinichi" and "Mo-ri Ran"!! "Kid the phantom theft" was cool!! He seemed to find next target!! Cloud weather make his cool atmosphere stronger. 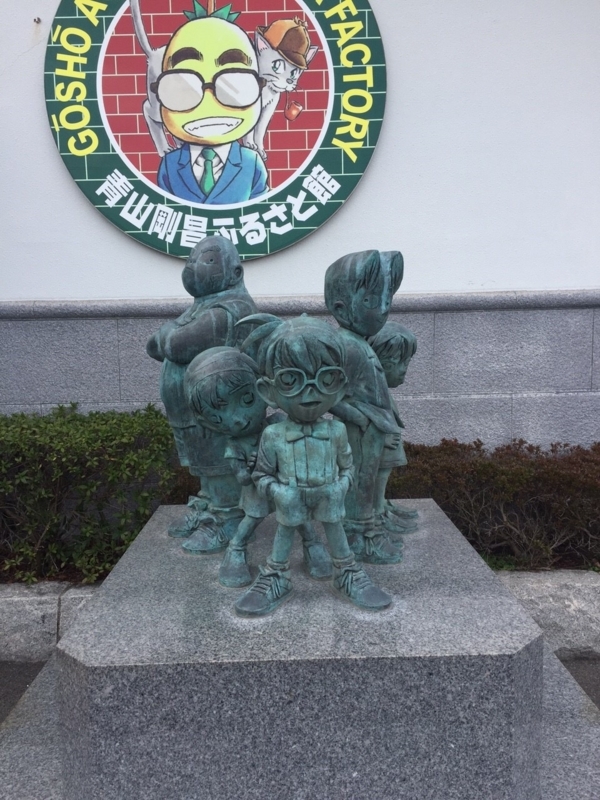 I arrived goal which is "Goso Toyama Manga Factory". "Team of small detective" were welcomed!! 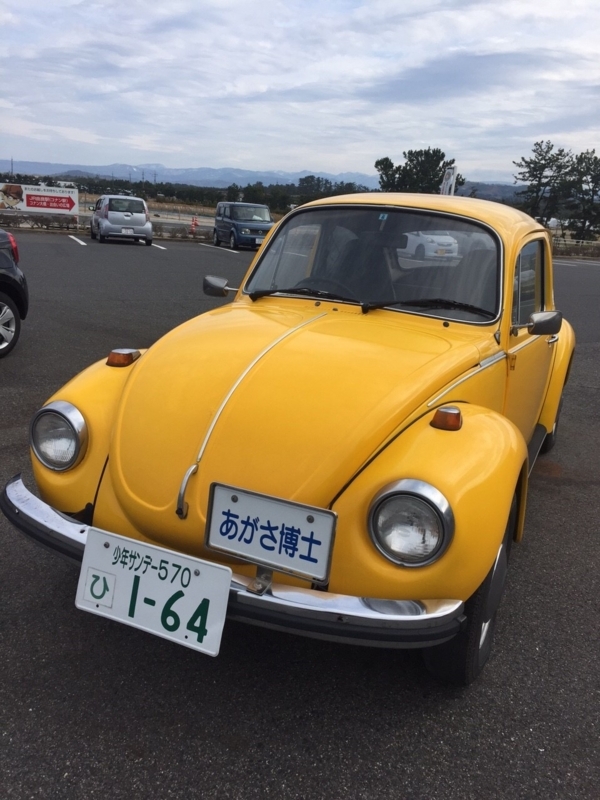 Cool beetle of Dr.Agasa car!! I have been both street. Because I knew well both story, I could spend really fun time. But to be honest, "Conan street" is inferior to "MIzuki Shigeru Street". 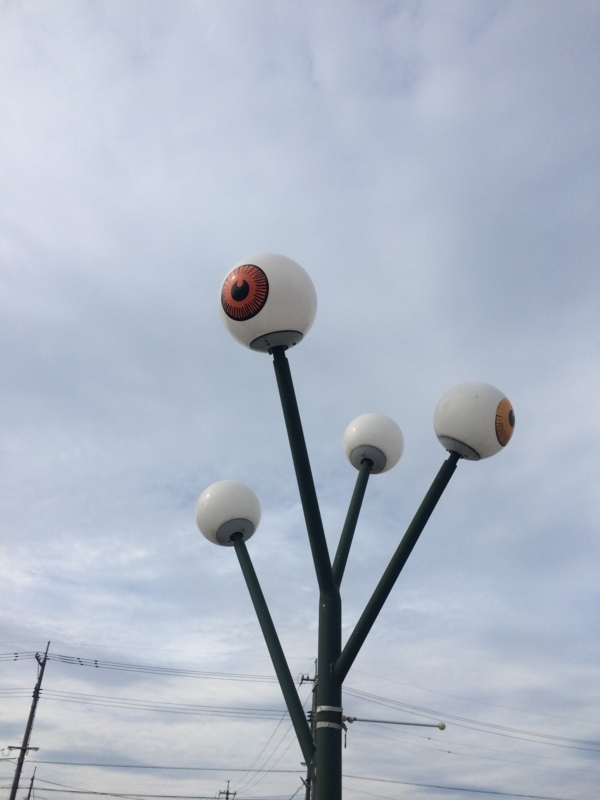 "Mizuki Shigeru road" provided lots of gimmicks not only statue as we saw already. That's why I enjoyed find new things!! In comparison to it, "Conan street" is little less impact to me. 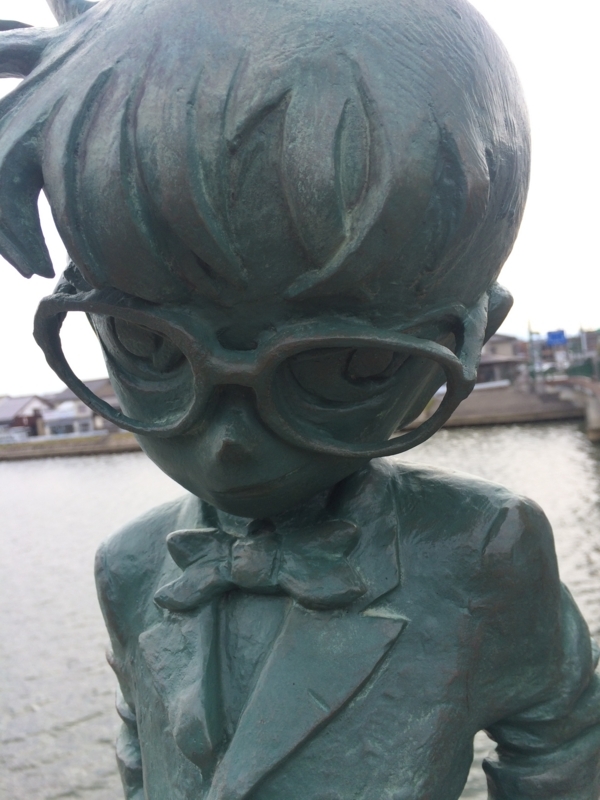 So if you want to go around both, I recommend at first to visit "Conan street" and next "Mizuki Shigeru road". 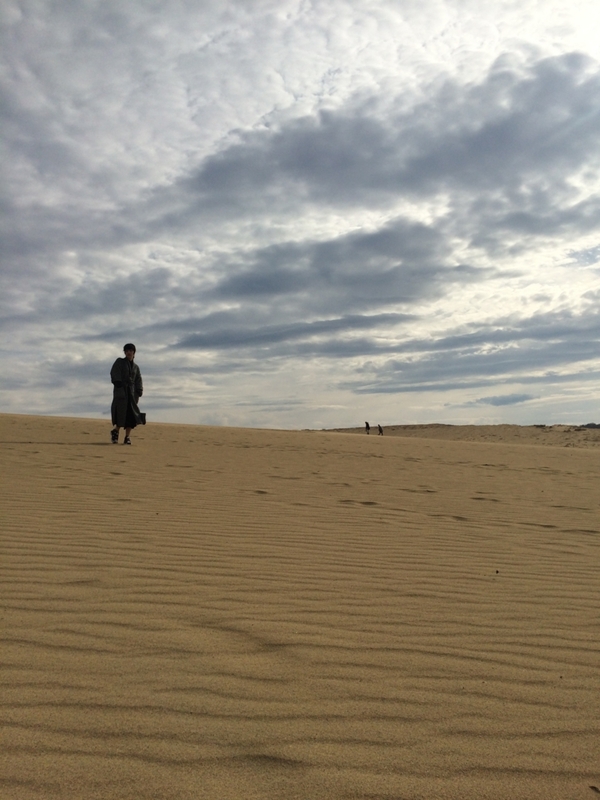 Acttualy these street is far from each other and also Tottori sand dunes. 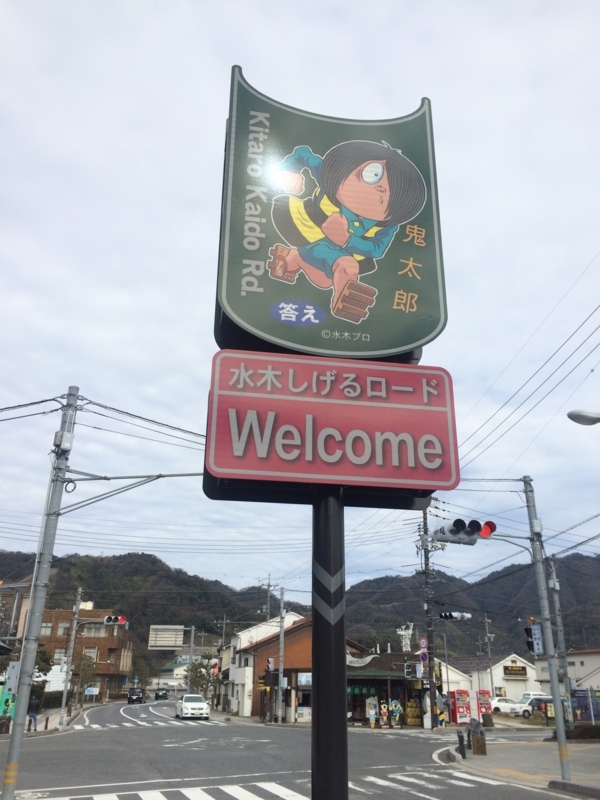 By train, it takes almost 2 hours and haf from "Mizuki Shigeru road " to "Conan road". So I recommend to go to there by car. So if you use car, it takes alomost 1 hour. 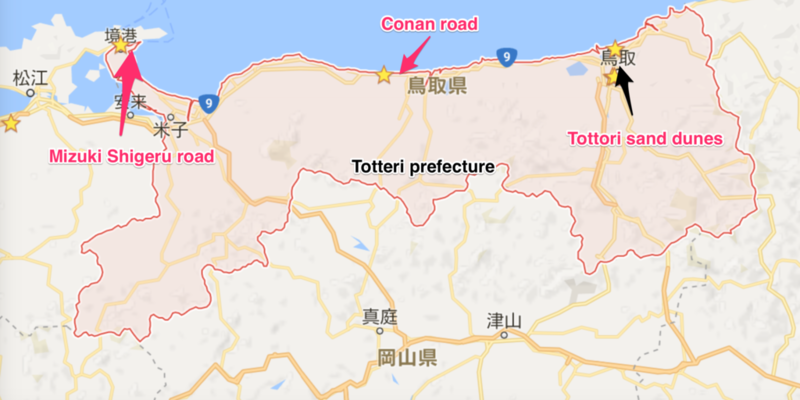 In additon to it, from "Tottori desert" to "Mizuki Shigeru road" it taked 2 hours and "Conan road" is on the way. 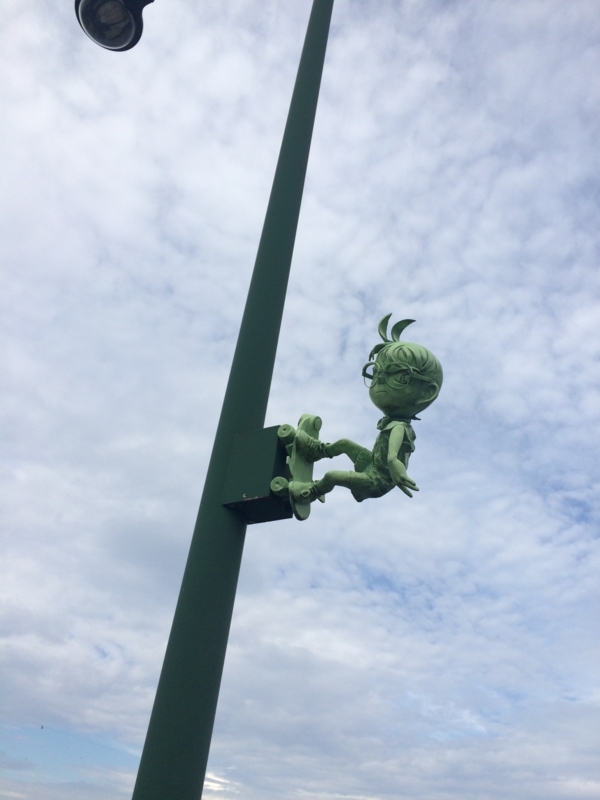 "Mizuki Shigeru road" located near the border between "Tottori prefecture" and "Shimane prefecture". 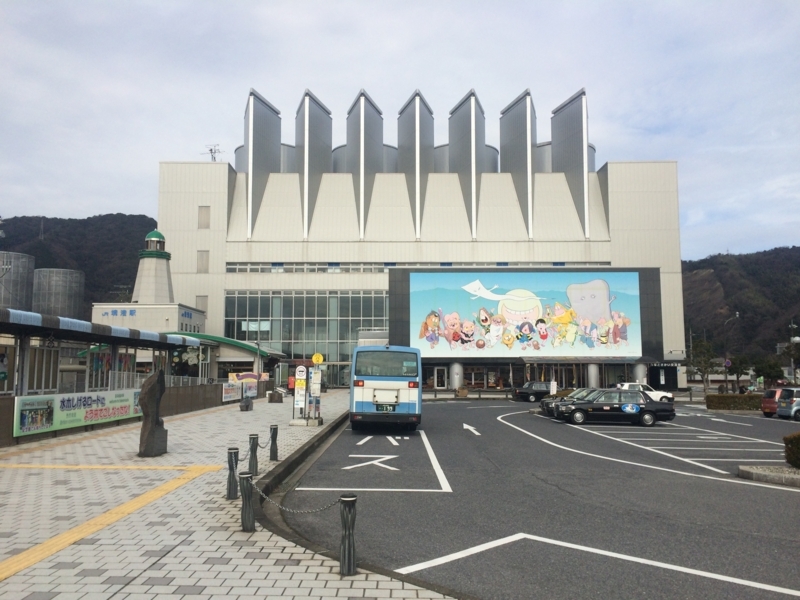 So after "Tottori manga trip" you should visit to "Shimane prefecture" as well. This is the perfect Tottori tour! !